Thanks to a long-term love affair born during summer trips to the Northwoods, a real Wisconsin style supper club has opened in the city of Chicago. Owner Brian Reynolds is the man smitten by supper clubs and he is excited to have opened his own -- Millie's Supper Club. It is named for his grandmother, who introduced Reynolds to many of the iconic Supper Clubs throughout Wisconsin as he was growing up. He was immediately taken by the warmth and hospitality offered by these beloved institutions during his summer excursions. After you pass the eye-catching neon sign and enter Millie's, you might quickly forget you are in the heart of Lincoln Park and sense you are in the Northwoods of Wisconsin. Millie's recreates the true Supper Club ambiance with deep rich diamond-tufted booths, vintage bar stools, intimate lighting and a large, comfortable bar where the bartender will ask you ‘how’s the family?’ as he is already muddling you a Brandy Old Fashioned Sweet. After catching up with some friends at the bar, you will head over to the dining room that will quickly remind you of a vintage farmhouse kitchen. As a welcomed Guest, you will enjoy our complimentary relish tray and a basket of warm rolls as you settle in and try to decide what to order. Hard to resist will be the Prime Rib. The Queen Cut (Millie's) and King Cut (Roland) are named for Reynolds' grandparents. There will also be all the delicious entrees one would find on a Wisconsin supper club menu, including Genuine Broaster Chicken, Friday Fish Fry (served every night! ), classic French Onion soup, Cheese Curds and much more. And, yes, you will need a doggy bag!  Supper Clubs are known not only for their large portions and jovial atmosphere, but their dedication to actual dining. Millie's will be no different. "I want our guests to have the feeling that the moment they walk through the door they are no longer in the hustle and bustle of Chicago and have stepped into their new favorite place to gather with friends and family for a wonderful meal, great drinks, and a lively atmosphere," says Owner Brian Reynolds, who also owns the beloved Prost! in Lincoln Park. It is this joy that Millie's strives to pass on to our Guests - a gathering place where people come together to listen to live music, enjoy food and cocktails and make new friends while you are there. Millie's will soon be your home away from home! "I truly love Supper Clubs and I am so incredibly honored to bring that special feeling to everyone in Chicago."